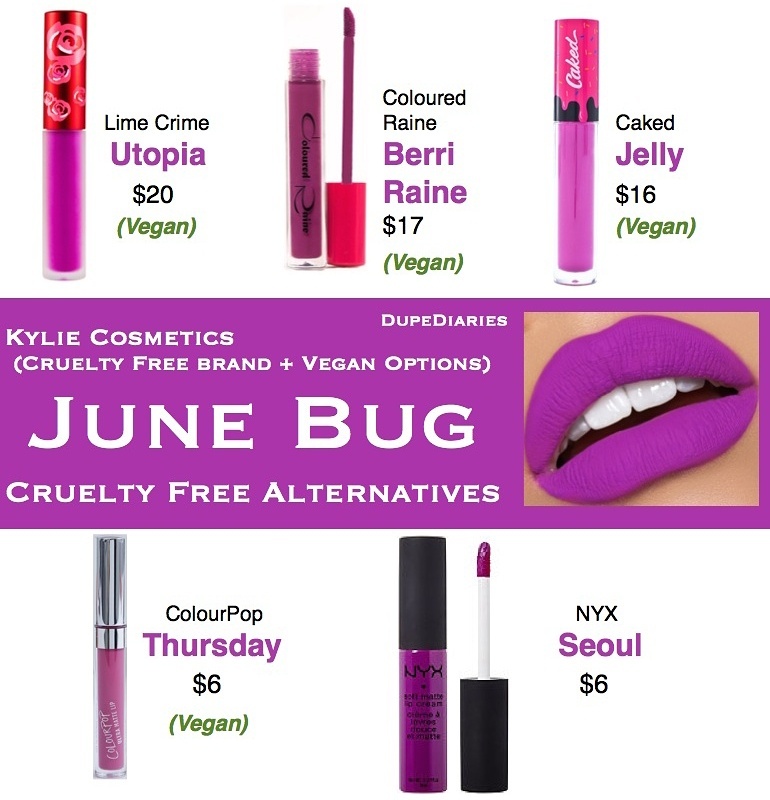 I don’t personally have the Kylie June Bug Liquid Lipstick because it just released today, but I found these alternatives going off swatches posted by the brand, Kylie, and other influencers. These are all a bright violet shade that makes a bold statement for sure. Not a color I’d typically go for because it’s not one that would look great on me. With dupes like this, it’s really based off of personal preference. We all enjoy our favorite liquid lipstick and it’s not always the same as someone else’s favorite. Previous Post What’s The Difference Between “Cruelty Free” and “Vegan” Products?